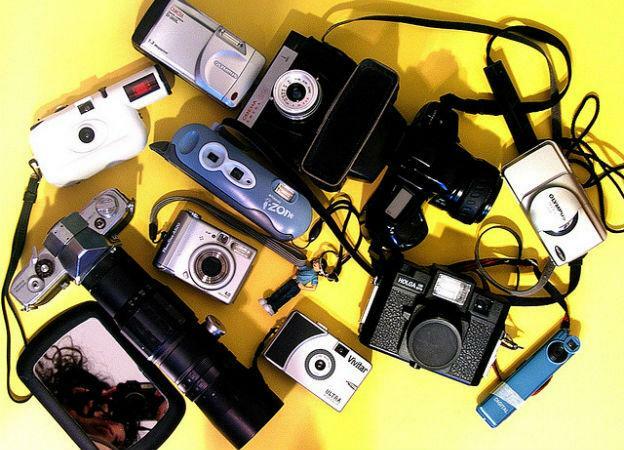 Cameras – Image by rachel a. k.
Cameras, and now digital cameras have become an essential part of the holiday experience. But due to their cost they are often a target for thieves when you are travelling overseas. If this sounds alarmist to you, and you are the trusting sort who rarely bothers to protect themselves against theft; you should know that an article from 2010 estimated that in 5 years Britons were robbed of 1.7 Billion Pounds, whilst on holidays abroad. If you are travelling to an area with a low GDP per capita; you have to consider how lucrative the theft of cameras and other items could be to a local. But it’s not only the poorer countries, but also the more affluent countries where people take an opportunity to steal. The price of a high quality camera, such as an SLR is a tidy sum no matter where the thief resides. For a professional thief, a few good quality SLR cameras would be a very good haul for a week’s work. Many thieves also specifically target tourists. When you are on holiday, you are much more likely to drop your guard. You will be unfamiliar with the local law enforcement, and often not able to easily press charges. With that being the case, it is important to research in preparation for such incidents, to see exactly who you need to contact. The loss of a camera can be devastating. Not only because of the price of the camera itself, but also because you may have had some special memories taken from you as well. So try to back up your photos every night before you go to bed, or swap the SD cards, this way you won’t lose too much footage should the worst happen. This is seemingly obvious, but it’s surprising how many people leave their hotel room door unlocked whilst heading down for breakfast, or walking around the hotel. Even if you’re out of the room for only half a minute, this is all a professional thief needs. If your camera goes missing whilst the door is locked, then (after a thorough search) you know it has most likely been stolen by hotel staff, which happens more than you think, and you can then make a formal complaint. If you are going for a swim, keep your eyes on your bags or clothing. If you are travelling with someone else, try and ensure that at least one person is with the bag at all times. If this is not possible, then make sure it’s in visual range. Every now and then, just feel around your pockets and the pouches in your bags to feel if anything is missing. Be organised, and put your items in the same pockets and pouches all of the time. That way, when something does go missing, you’ll know instantly. You may be able to still do something about it. Keep your camera and wallet to the front of your person if possible. It is certainly worth getting a bag to strap to your waste, you won’t be the coolest person on the resort, but it is a sure fire way to keep things safe. If you are waiting to board or leave a train or bus, be careful of people standing behind you, especially if you are carrying a backpack with your camera in. A zip can be unzipped very easily and quietly without you noticing. Try and keep a distance between yourself and other people and if possible carry your camera in front of you at all times. Digital cameras and other expensive items should ideally be insured if you are taking a lot of expensive items with you on holiday. You will still lose your holiday snaps, but you will not be hit too hard financially, if that is any consolation.